Ljuskultur och Belysningsbranschen planerar flera evenemang. Information kommer snart. Universeum: Lasershower (skolår 4-6) med Sheila Galt. Vad är optik? Hur funkar en laser? Och vad har internet med ljus att göra? Välkommen till en bländande föreställning med laser och ljus där vi varvar hologram, “mjölkfyrverkerier” och lasermikroskop med lättsamma förklaringar kopplade till vår vardag. Second workshop of the European Photonics Roadshow of the EPRISE EU project in cooperation with Watify and Photonics21. The workshop is hosted by PhotonicSweden and the region of Stockholm. This workshop (free of charge) will gather representatives from photonics companies, med-tech companies, end-users and researchers interested in commercialization and a number of experts, to discuss and network around issues related to the business development of photonics companies addressing the global healthcare market. This workshop will not only discuss what types of financing are required to cross the Valley of Death and where to find it, but also how to most efficiently use it for teaming up with the right partners, building the right team and e.g. coping with clinical tests. The 10th International Conference on Advanced Infocomm Technology will be held in Stockholm between August 12 and 15, 2018, and it will be organized by KTH Royal Institute of Technology, School of Electrical Engineering and Computer Science. KTH will host this event in its campus at Kista. We plan to have the conference welcome reception at Stockholm City Hall, where Nobel Prize ceremony will be held every year. Three honorable plenary speakers have confirmed their attendance. Prof. Sune Svanberg is the top expert on sensing technologies and has been the Chair of Nobel Committee in Physics for two years. Prof. David N. Payne is the inventor of Erbium Doped Fiber Amplifier (EDFA), which is key component for long-haul telecom networks. It has been widely recognized that “no Payne no Gain”. Prof. Jan Höller is the fellow researcher from Ericsson, who will present industry perspectives on 5G use cases and IoT. We sincerely invite you to save this event to your calendar! It is our great pleasure to announce the next edition in the series of Northern Optics conferences that brings together scientists and people active in photonics from the Nordic and Baltic countries. The previous meetings were held in Uppsala (2000), Espoo (2003), Bergen (2006), Vilnius (2009), and Helsingør (2012) and Imatra/Lappeenranta region (2015). Northern Optics & Photonics 2018 (NOP 2018) will be arranged on 12-14 September 2018 in Lund, Sweden. The conference is organised by PhotonicSweden and the Swedish Optical Society in conjunction with the Lund University and Lund Laser Centre, and sponsored by optics/photonics societies of Sweden, Denmark, Finland, Norway, and Baltic countries. There will be two parallel sessions; one is devoted to presentations from academia and one to industry presentations. There will also be an exhibition and a poster session, and lab visit tours. Kom, lär dig spännande experiment inom fotonik (photonic explorer kits*) och låt dina elever experimentera själva! 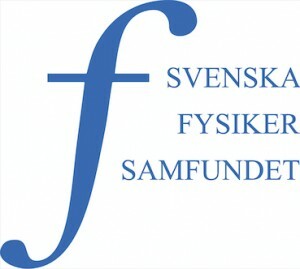 För att lägga till evenemang: resurscentrum@fysik.lu.se. (See also the summary of the activities during 2015 and a calendar for the Swedish year of light 2015).